Quantity. 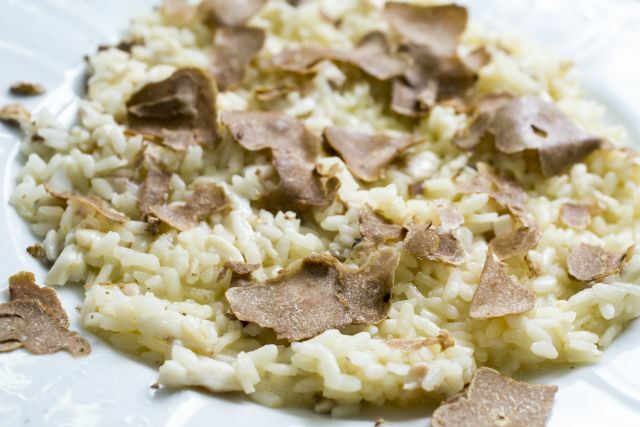 When cooking with truffles, for most dishes you will require 8 – 12 grams per person. A starter will want less than a main course. A 50 gram truffle is about the size of a large hens egg. A 100 gram truffle is about the size of a tennis ball. Keep it simple. Truffles are most appreciated in simple recipes. Avoid using them with ingredients with strong flavours or smells as the truffle flavour will be lost. 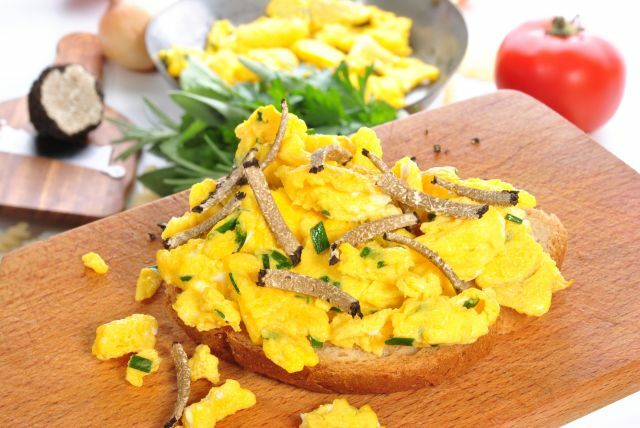 Simple foods like pasta, rice, eggs or potatoes really bring out the delicious truffle flavour. Shaving and Slicing: A truffle slicer/shaver helps you slice your truffle into paper-thin slices. This gives the most truffle flavour and gets the most servings out of your truffle. In some recipes, a grater or microplane is used. Avoid a lot of heat: Don’t cook them too much or you will drive off much of the flavour and aroma. If using in a hot dish, such as a soup or sauce, slice or grate the truffle in just before serving or warm briefly in a little oil. Use quickly: The strength of the truffle flavour will naturally decrease over time. We get our truffles to you as fast as we can and recommend you should eat within a few days. Our truffle care page gives guidance on how to store them. Simply shave them liberally over home-made egg pasta or risotto. They pair very well with egg dishes - scrambled egg, omelette, soufflé, a flan or just fried. Our Autumn truffles should be enjoyed raw shaving over cheese dishes, chicken, fish, canapés & hor d’oeuvres or grated into creamy soups or sauces just before serving. Infuse the flavour into eggs or cheese. Insert slices under the skin of poultry (chicken, turkey, pheasant, duck or guinea fowl), store overnight before roasting it. Cream and cheese sauces thoroughly take up their flavour. Infuse Brie etc. Make truffle butter – see our truffle care page for directions and serving ideas. 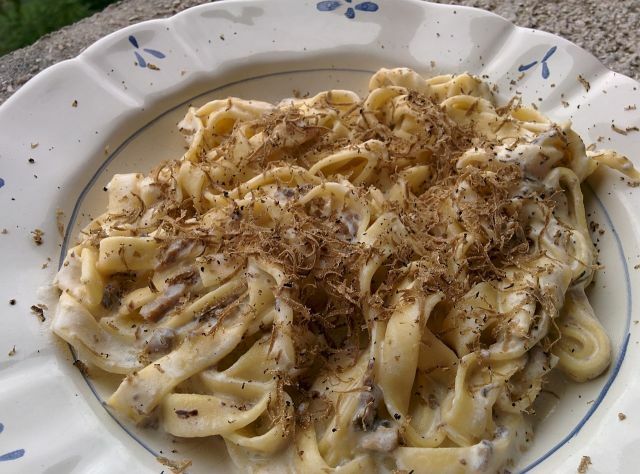 Below are some classic truffle recipes. 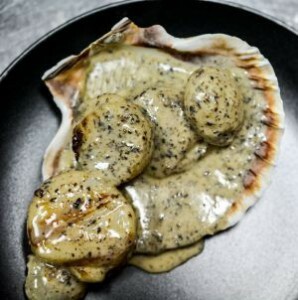 Additionally, we are delighted to reproduce one of River Cottage Head Chef Gill Meller's recipes from his new book gather that features our truffles. You can find his recipe for Oatmeal with chicken skin & leeks here. You can find a wide range of truffle recipes in some of the books on our truffle book page under 'general' and 'recipes'. Infuse the wonderful flavour and aroma of truffles into raw eggs to use to cook your favourite egg dish. Put one or two fresh truffles with some fresh, free range eggs and a sheet of kitchen towel in a large seal-able container (plastic box or glass jar with a lid). The eggs will be infused through their porous with the wonderful truffle aroma and flavour. Use the eggs to prepare your favourite egg dish - scrambled egg, omelette, soufflé, a flan or simply a fried egg. 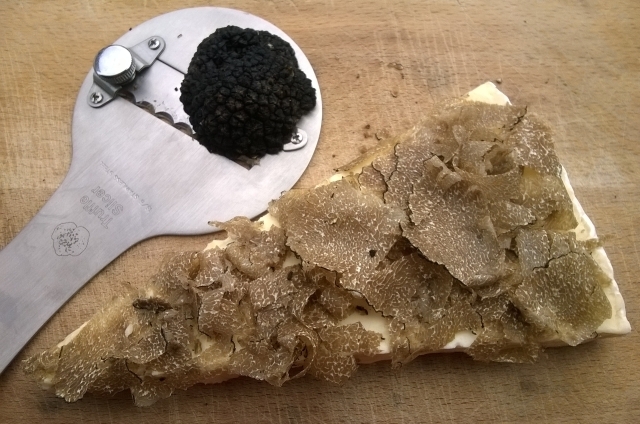 Optionally, shave some of the truffle onto the finished egg dish. This simple recipe is a super way of enjoying Autumn truffles. Cook pasta in a large pot of salted water following the instructions on the packet. When the pasta is cooked ‘al dente’ , drain and reserve some of the cooking water. Gently melt a knob of unsalted butter in a large pan, toss the pasta in the butter and a few tablespoons of cooking water until most has been absorbed. Serve with grated Parmesan or Parmigiano Reggiano, grated or shaved truffles and a generous glug of extra virgin olive oil. Bring the stock to simmering point on a low heat. In a separate, fairly heavy-based saucepan sweat the onion or shallot and garlic in the butter for a few minutes until soft but not coloured. Add the rice and cook for a further few minutes. Add a ladle of the hot stock and allow to come to a gentle simmer. Cook the rice until almost all the liquid has been absorbed, stirring occasionally to make sure the risotto does not catch on the bottom of the pan. Continue to add the liquid by degrees, incorporating the wine towards the end of the cooking, until the liquid is all absorbed, the risotto is creamy, and the individual rice grains tender with just a hint of chalkiness in the middle. Remove from the heat. Stir in the cheese and grated truffle. Decorate with a few slices of thinly sliced truffle. 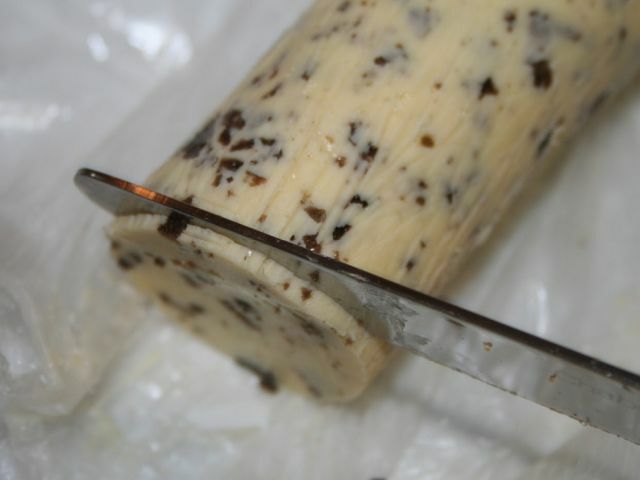 Making truffled brie - Dorset truffles and Somerset brie. Slice brie, camembert or tomino cheeses horizontally. Optionally, spread both sides with mascarpone. Reassemble and wrap in cling-film or foil. Leave for several days for the flavour to infuse. Dip in flour, eggs, then breadcrumbs. Fry in very hot oil until golden. Drain on paper towels to remove excess oil and serve warm with a fruit sauce or jam (raspberry, red currant etc.). Finely grate a fresh truffle. Mix into softened salted butter. You can scrape it into a jar or make a "log" by rolling it in baking parchment or cling-film. Truffle butter freezes well and can be kept for 6 months. Put on steak, new or baked potatoes or veg such as leeks or asparagus. Rub into the skin of chicken or turkey before roasting. Add a knob to a sauce for a rich, truffle flavour. Use for egg dishes such as scrambled egg or omelette. Add to sautéed mushrooms or mashed potato! Stir a spoonful into pasta or risotto. Use in sandwiches, on crusty bread or crackers.